Sometimes it’s best to leave things to chance. Everyone needs a bit more mystery and intrigue in their life which is why we’ve decided to introduce the new Clare Florist Mystery Bouquet. Nowadays we’re inundated with endless choice. And it’s not always easy to feel as if we’ve made the correct decision. There’s no denying that choice can be stressful at times – sometimes its best to let someone else take care of all the details on your behalf. With the Clare Florist Mystery Bouquet, we do exactly that. Our team of professional florists will select the freshest seasonal stems and arrange them into a generously bountiful bouquet that is sure to make your jaw drop. As we choose the flowers ourselves, you can be assured we’ll throw in a bit more than we normally would which means that the Mystery Bouquet offers you incredibly good value for money! 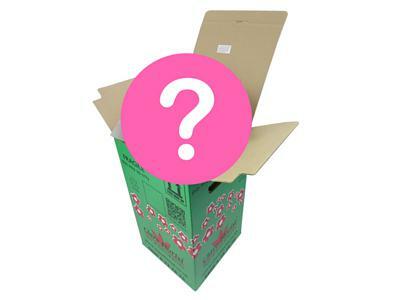 As is the case with all of our bouquets, the Mystery Bouquet comes inclusive of free next working day delivery and is subject to our 100% satisfaction guarantee, ensuring that it’s a gift you can’t go wrong with. It comes delivered in our signature flower delivery box, specially designed to ensure your flowers arrive in absolutely immaculate condition. We also use a nutrient rich gel to keep your flowers fresh in transit, guaranteeing you a prolonged lifespan for your bouquet.